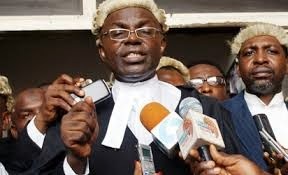 The death of Mr Bamidele Aturu has shocked the legal world, his commitment to championing human rights and constitutionalism is a strong legacy by which he would be remembered. Mr Aturu was one of the founding members of a political group committed to pursuing deep-rooted democratic principles and holding those in power accountable to the governed – Democratic Alternative. His practice was very vibrant and he undeniably devoted his legal skills to representing the common man and promoting social justice and development in Nigeria. Mr Bamidele was a fighter against power abuses when, as a member of the National Youth Service Corps, he refused to shake the hand of a military administrator of Niger State, Col. Lawan Gwadabe, in 1988 during his NYSC passing out parade declaring that the military had caused great harm to the democratic aspirations of Nigerians. 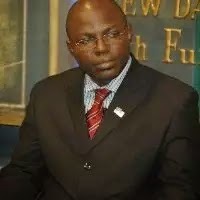 Mr Aturu studied for his law at the University of Ife, and devoted much of his legal practice to representing marginalised or oppressed individuals and groups. He was nominated as a member of the ongoing national confab, but he renounced his membership, arguing that the conference was designed to achieve nothing. His legacy and passion will always be celebrated.